Claim your reserved ''Condo Owner'' parking space today at the Exclusive 5 Star Sagamore Resort in Bolton Landing. Choose Unit 2B6 for convenient access to the main hotel, w/ views of Lake George & the surrounding mountains. This remodeled 2BR/2BA unit comes fully furnished. It features a private master suite upstairs, spacious guest bedroom downstairs, walk-in showers w/ bench seating, 2 terraces, full size kitchen & washer/dryer. 1, 388 sf, largest floor plan available with the ability to sleep 8 people! 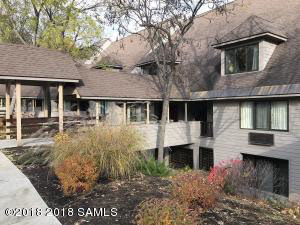 Enjoy private ownership of this Adirondack residence and/or add rental income. Room service & hotel amenities are just a phone call away. Located on a private island, w/ no new condo builds allowed, these units are always in high demand. Call ASAP for a private showing.